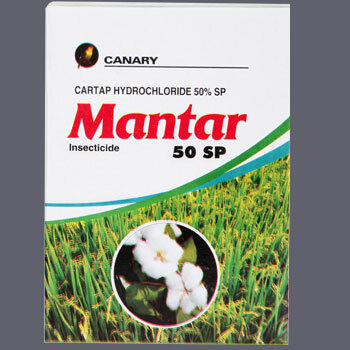 Mantar is soluble powder insecticides which contains 50% of Cartap Hydrochloride A.I and balance adjuvant. Mantar is an insecticide highly effective for the control of steam borer and leaf folder on rice. Mantar has a quite different mode of action from that of other insecticides. It is effective against both chewing and sucking insects and controls insects at low concentration. Mantar controls almost all stages of insects and the efficacy of Mantar prolonged. It has no effective to natural enemies of insects, pests and it is practically nontoxic to mammals. Mantar use on rice.